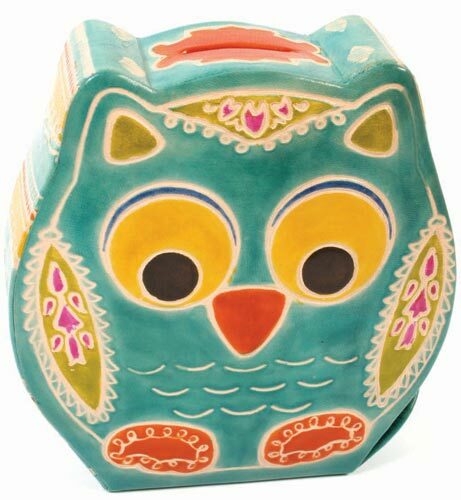 Colourful handmade goat's leather money box. Hand-painted using AZO-free and PCP-free dyes. Press stud opening flap at base allows access to contents.